David is a Senior Project Officer at the Victorian Department of Health and Human Services. He is responsible for supporting Victoria’s health sector to engage with China and developing and implementing international health programs in line with the Victorian Government’s China Strategy – Partnerships for Prosperity and the International Health Strategy – Partnering for a Prosperous Future. Before joining the department in January 2018, David managed the Victorian Curriculum and Assessment Authority’s international program, delivering school education programs throughout the Asia Pacific region. David facilitated partnerships between Victorian and overseas schools; oversaw the program’s quality assurance regime; and managed the Authority’s relationships in China. Prior to joining the Victorian Public Service in 2012, David lived in Bangladesh, where he worked for CARE in an Australian Government funded role. David primarily worked on health, education and women’s empowerment programs. After completing a research dissertation that focused on politics in India in 2008, David worked as a lecturer and sessional tutor at Monash University where he taught undergraduate international relations subjects. David holds a Bachelor of Arts and Masters of International Relations from Monash University, and is currently completing a Juris Doctor (Master of Laws) at RMIT University. David loves travelling, learning languages and is passionate about social justice. Born and lived in four cities in China, Yuki came to Australia in 2002 as a high school student and subsequently completed the Bachelor of Commerce at the Melbourne University. During the university days, she served as the Treasurer for the Melbourne University Overseas Student Services in Student Union and represented overseas students at various university committees. She sees herself as the beneficiary of international education with exposure to two vastly different education systems and is a strong advocate for education and cultural exchange. Yuki has worked across consulting, banking and telecommunications sectors in three countries including Australia, China and Singapore and is now a senior risk and finance analyst at the Department of Treasury and Finance, providing oversight on investment and social returns from government funded businesses. In addition to her work at the Victorian government, she is also a career mentor of the Melbourne University AccessConnect Mentoring program and actively participates in forums and symposiums as a representative of Chinese millennium. Yuki’s passionate about international trade and investment and aspires to be a conduit between Australia and China to deepen mutual understanding and bilateral collaboration. She’s fluent in English, Mandarin and Cantonese and enjoys skiing, yoga and is committed to explore different parts of the world every year. Mathew's motivation to attend ACYD 2018 is to better understand the Australia-China relationship, including; to explore and unlock new ways China and Australia can continue to build long-term partnerships across the areas of science and technology. Since returning to Australia Monique has developed a 'doing business in Asia' project to assist Australian clients to understand how to avoid disputes with Chinese counterparties and to ensure alignment of the parties in Sino-Australian business dealings. Paul’s engagement with China started while studying a Bachelor of Business at La Trobe University in Melbourne, enrolling in a Diploma of Languages (Mandarin). That Diploma took him to East China Normal University on summer exchange and later a full scholarship to Dongbei University of Finance and Economics and Renmin University of China, where he completed a Master of Enterprise Management. Paul has lived, studied and worked in China for four years and held roles at the China-Australia Chamber of Commerce in Beijing; China Daily as a freelance food columnist in Taipei; and was an active member of the Australia-China Youth Association in Beijing. Since returning to Australia, Paul joined the public service delivering government policy and programs at the Department of Infrastructure and Regional Development and the Australian Trade and Investment Commission (Austrade). Paul’s current role in the North Asia and Investment team at Austrade enables him to use his language and cultural experience to assist client’s engage with China, and North Asia more broadly. Paul’s experience – academically and across both the public and private sectors in Australia and China – enables him to provide unique insight into the bilateral relationship across government-to-government, business-to-business, and people-to-people perspectives. Andrew Fei is a trilingual lawyer (Chinese, English and Korean) who advises global clients on a broad range of cross-border banking, capital markets, fintech and financial regulatory matters. Andrew holds a master of laws degree from Harvard Law School, and master and bachelor of laws degrees from Cambridge University. He is currently a senior associate at King & Wood Mallesons, a global law firm. Previously, he worked for 5 years at the New York headquarters of a leading Wall Street law firm. 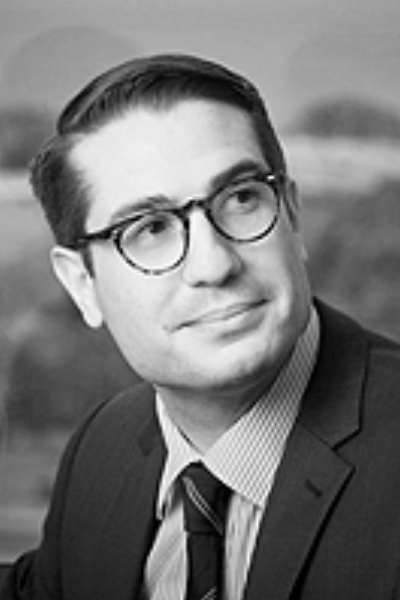 Andrew has published a large number of articles on banking law matters, including in the Harvard Law School Forum on Corporate Governance and Financial Regulation. He is regularly quoted on financial regulatory matters in the press, including the New York Times and the Financial Times. Andrew is passionate about advancing the relationship between Australia and China. On a daily basis, he advises Chinese companies about complex cross-border transactions in Australia and the Asia Pacific region and advises Australian companies about doing business in China. He also regularly speaks and writes articles in Chinese and English about global financial regulatory reforms. Andrew's hobbies include drawing, crafts, making animations and playing table tennis. Appy has been working in international business development for over a decade and had experience across private sector, media and Australian government agency. She has worked and lived in China, Malaysia and Australia. 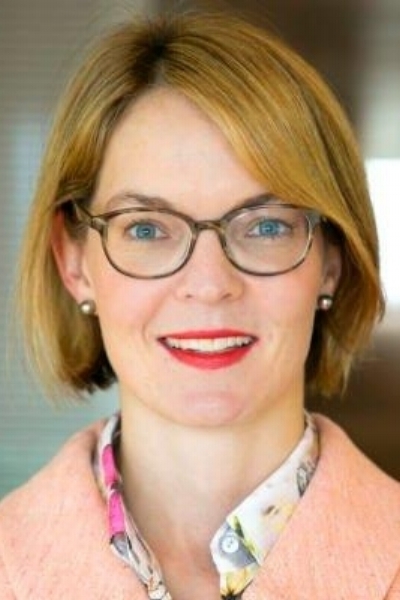 Most recently, she held a business development manager role at Australian Trade and Investment Commission for over four years, working alongside senior leaders to advocate commercial diplomacy and innovation for Australia in highly regulated industries, primarily focusing on mining and agribusiness. Relocated to Australia in 2016, she’s now finishing up her MBA studies at Australian Graduate School of Management with University of New South Wales. At the same time, she is proudly on a work integrated learning placement with GenesisCare, a healthcare sector high growth disruptor in radiation oncology, supporting their expansion into China. Appy holds a B.A. in Land Resources Management with University of Hainan, and a postgraduate diploma in B2B Market Management with University of Hong Kong. Amy has over ten years’ experience working for multinational professional services firms, government and the not-for-profit sector. Amy graduated with a Bachelor’s Degree and Postgraduate Diploma in Science and previously worked as a consultant managing environmental social impact assessments in Australia, China, Kazakhstan, Uzbekistan, Mongolia and Liberia. Amy initially relocated to China to represent AusAID as an Australian Youth Ambassador for Development (AYAD) initiating environmental education and training programs in Jiuzhaigou, Sichuan. Based in China for 6 years, Amy attained professional fluency in spoken and written Mandarin. Since returning to Australia three years ago Amy has dedicated her energy to economic development and international engagement initiatives at the City of Perth (Resources, Energy and Agriculture sector) and Perth Convention Bureau (Tourism and Education sector). She sits on the Australian Institute of International Affairs (AIIA WA) committee, Curtin University Humanities Faculty Advisory Council and the Australia China Business Council (ACBC WA) sub-committees. For the past three years Amy has co-hosted the ACBC WA Chinese New Year Gala Dinner and National Day celebrations, involving bilingual public speaking to the WA-China business community. Michael is an Australian diplomat currently serving at the Australian Embassy in Beijing as Second Secretary, Political Affairs. His portfolio covers Chinese domestic politics, social issues, human rights and legal reform. A lawyer by training, Michael joined the Department of Foreign Affairs and Trade (DFAT) in 2012 as a Policy Graduate. He has worked across a broad range of policy areas including: environmental law; Middle East; China economic, political and trade; and international law. In 2012, Michael led the development of the Australian Government’s ‘Australia-China Commercial Dispute Resolution Initiative’, which advised Australian companies on managing business risks in China and provided best-practice guidelines for commercial dispute resolution. The public-private initiative was launched by the Gillard government in 2013 as an Australia in the Asian Century white paper initiative. Michael has undertaken two overseas assignments with DFAT, in Nauru and China. Prior to joining the Australian Foreign Service, Michael worked in both state and federal politics, and private legal practice. He holds a Bachelor of Laws (Hons); a Bachelor of Arts; a Graduate Diploma in Legal Practice; and a Master of International Affairs, from the Australian National University. He has undertaken study fellowships at the Peace Research Institute Oslo (PRIO) in Norway and LUISS University in Rome. Dr Fiona Lander is a qualified lawyer and medical doctor, currently working as an Associate at McKinsey & Company in Australia. Fiona’s work predominately focuses on healthcare strategy in Australia, where she has served a variety of public and private sector clients across the industry. Before joining McKinsey, Fiona was a Consultant to the UN Office of the High Commissioner for Human Rights, and completed missions with the UN in Guinea-Bissau, Ghana, Guatemala, Syria, and Australia. During her time working with the UN Special Rapporteur on Health in India, her work focused on health rights of marginalised groups throughout Asia. She has also worked as a doctor at Austin Health and Royal Perth Hospital, and a lawyer at Corrs Chambers Westgarth. Fiona was a Frank Knox Memorial Fellow at Harvard University, where she recently completed a Masters of Public Health. She previously graduated from Monash University with dual honours in Medicine/Surgery and Laws. Ke is the co-founder, chief instructor, and head choreographer at JMC Dance Lab, Melbourne, Victoria, Australia. In 2011, Ke came to Melbourne, Australia to accomplish her Master degree of Cultural Arts (Performing Arts) in Monash University, she studied creativities industry, art economy and finished the degree with a minor project and a research thesis in cross-cultural contemporary dance in 2013. During years studying in Australia, Ke was keeping teaching her students how to dance with her spare time in different dance institutions around Melbourne and performed dance showcases at various events promoting cultural interaction and communication in multi-cultural communities.In 2017, she continued to be the movement person in One Tree Theatre, cooperated with director Nancy Black with the play “Gate to Paradise” which was showed in Malthouse Theatre in November 2017. In May 2018, she made another showcase of JMC Dance Lab “A Journey to the Fusions” as the producer. Later she founded a new contemporary dance group Co-tempORaRY and perform in fringe festival 2018. Sylvie is a doctor working in Orthopaedics at Wagga Wagga Base Hospital. She is currently undertaking a Masters in Traumatology and also holds a Masters in International Law, and a Bachelor of Physiotherapy. Sylvie’s current research projects include the role of international policy in enabling universal access to safe, affordable surgical and anaesthesia care; and the development of a 3D scanning technique for assessing ulcers. She is also an avid hill runner, waterpolo player and gardener. Sylvie grew up in Malaysia, completing most of her secondary schooling within Malaysia’s Chinese School system before moving to Australia for further education opportunities. Professionally, Sylvie has established rehabilitation services in Sichuan, China following the 2008 earthquake; developed high level policy advice while working at the Australian Department of Home Affairs; and worked as a physiotherapist in rural and regional areas. As a strong advocate for living and working regionally, Sylvie hopes to share her love and appreciation of ‘the bush’ with other delegates, and to highlight the wealth of opportunities offered in non-metropolitan settings. Hailing from Wagga Wagga - ‘The City of Good Sports’, Sylvie is particularly looking forward to the ‘Sport as diplomacy’ dialogue and will bring insights as sporting participant, and from treating sporting injuries. Travis is Senior training manager of Swisse China，part of H&H group. He have 9 years sales and training management experience in the global leading company of health and medical category. He love to share and communicate with different background people. Used to be a volunteer working in Guangzhou museum as a part time instructor. He is also very popular as nutrition consultant all over the China retail customers and celebrities. And his nutrition speeches always attract a lot of consumers to attend. Now he becoming a link between China Nutrition society and Australia nutrition and healthy societies, and have already build up a lot of connections. Hope to make more and more Chinese and Australian happier and heathier. Shanzhen Luo has a Bachelor and a Master of History both from Nanjing University in China. She also earned another Master of Gerontology from Georgia State University in the US. Driven by the mission of proving dignified care and humane care for the frail elders, Ms. Luo strives to transform the traditional elder care model, which has a narrow focus on medical care, into a new person-centered social care model, which integrates physical, social, psychological, and spiritual dimensions of care in a holistic way. Shanzhen’s cross-cultural academic training in humanities (a BA and a MA in History) and applied fields (Gerontology and Public Health) has well prepared her to fulfill this admirable mission. After working for 12 years in senior living and witnessing the rapid growth and enormous changes in this industry, Shanzhen founded LEZHI, an applied research institute at CHJ-Care, one of the leading senior living groups in China. LEZHI, in its core, connects the academic world with the applied fields—translating knowledge into practices. Under her leadership, their multidisciplinary health care team has offered a series of top-notch online and in-person workshops, formulating and disseminating some of the most cutting-edge care models across China. Shanzhen is confident that LEZHI will soon become the one-stop solution provider in the field of dementia and Parkinson’s care —the first of its kind in China. Shanzhen is also a columnist for the Paper (thepaper.cn). Chenkai Ma is currently a Ph.D. from the University of Melbourne, majoring in cancer biology. He got his medical degree and trained as a surgeon in China. He was born and grew up in Shanghai and then moved to Melbourne 3 years ago for Ph.D. research. Before he settled in Melbourne, he has visited several academic institutes in Europe and Japan. He was nominated as the finalist of 2016 Victoria International Education Award for research. He is keen on the translational research and commitment on the bilateral relationship between China and Australia. Emily is an Australian Government New Colombo Plan Scholar from Melbourne. The New Colombo Plan is the government’s signature initiative to deepen Australia’s engagement in the Indo-Pacific through supporting undergraduates to undertake study and internships in the region. The start of Emily’s New Colombo journey saw her studying Chinese Law at Shanghai Jiao Tong University and brushing-up on her Mandarin skills by attending daily classes. Following that she undertook an internship with Baker McKenzie Hong Kong’s Compliance and Investigations team. In 2019, Emily will start at as a Graduate with Baker McKenzie in Melbourne. Emily has previously lived in Melbourne, Shanghai, Singapore, Auckland and Phnom Penh. From interning with the UN at the Khmer Rouge Trials in Cambodia, to volunteering at Melbourne’s Asylum Seeker Resource Centre, Emily has acquired a diversity of legal experience and a deep insight into the Indo-Pacific region’s public legal systems. 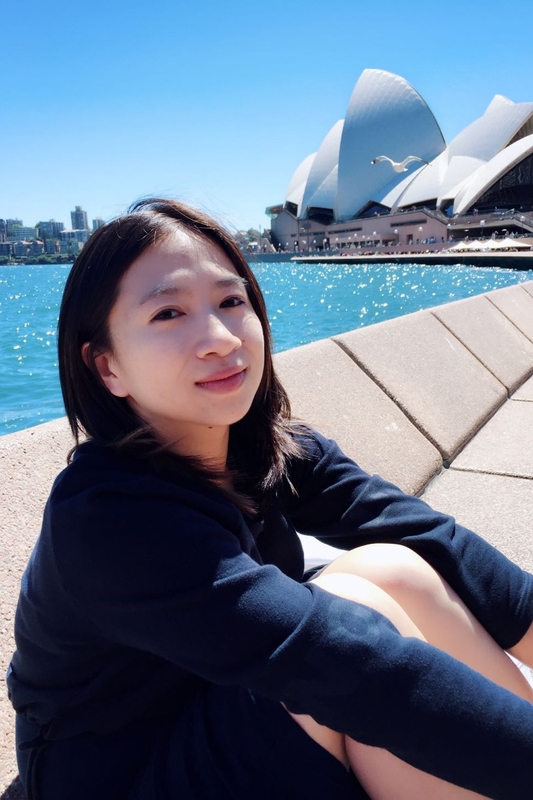 She is eager to discuss how modern technologies, such as artificial intelligence, can be used to improve the public legal systems of China and Australia with her fellow ACYD delegates. Dr Di Mo is a Lecturer in Finance at the School of Economics, Finance and Marketing, RMIT University. Prior to joining RMIT, Di has completed her PhD in Finance and a BCom with First Class Honours at Griffith University. During her studies, she was awarded multiple scholarships totalling in excess of $150,000. Di is actively involved in both research and teaching. She is a frequent presenter at universities and international conferences. Di’s research interests lay in volatility estimation and forecasting, commodity futures, empirical asset pricing and renewable energy. Her research has been published in journals including Energy Economics, Economic Modelling and Managerial Finance. She has also served as an ad hoc reviewer for the Economic Modelling and International Journal of Finance and Economics. Di has also taught a wide range of finance, financial planning and statistics courses including Financial Markets, Corporate Finance, Risk Management, International Finance, Financial Planning 1, Investments in Financial Planning, Financial Planning Fundamentals and Business Statistics. She has consistently received positive teaching feedback from students’ evaluation. Di is passionate in developing research and teaching collaborations between Australia and China. She hopes to draw from her educational experience and contribute to the prosperous the development of education in both countries which she considers as ‘home’. Catherine is a Senior Associate in the Disputes team at Corrs Chambers Westgarth where she practices in general commercial litigation, with a particular focus on cross-border disputes, and international commercial arbitration. She has experience in advising on the enforcement of arbitral awards and foreign judgments, arbitration and dispute resolution clauses, extradition, shareholder oppression claims, misleading and deceptive conduct and contract disputes. Catherine is also the Co-Chair of the Law Institute of Victoria’s International Law Section. In this capacity, she co-organised the inaugural international commercial arbitration moot in Victoria. As a result of the success of the Victorian moot, Catherine was appointed the Victorian representative of Chartered Institute of Arbitrators Centenary International Arbitration Moot Steering Committee and was responsible for arranging and co-authoring the CIArb Centenary Moot. 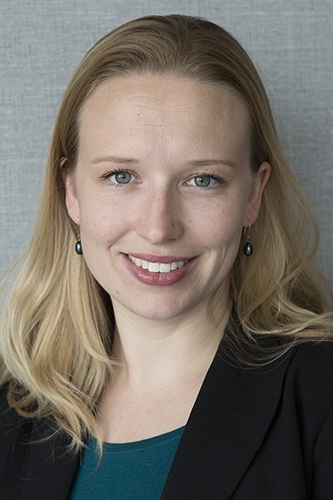 Catherine is also the current ICC Young Arbitrator Forum representative for Australia and was a Melbourne ICCA Ambassador for 2018. Start up strategist and lecturer on China’s innovation ecosystem. Completing a PhD focused on China’s environment for developing artificial intelligence. Previously practised as a lawyer in Shanghai, Western Australia, and Victoria and completed a masters of Chinese law at Nanjing University in Chinese. Spent over 15 years in and out of China. Clement was born and raised in China and moved to Australia during his teenage years. Whilst having a deep understanding of Chinese culture, Clement spent the most crucial years of his personal and professional life in Australia. He attended high school in Melbourne, and completed a Bachelor of Commerce degree majoring in Actuarial Study at the University of Melbourne. Similar to most international students, Clement worked for several non-actuarial related jobs while awaiting for his permanent resident visa. He later joined the Australian Prudential Regulation Authority (APRA) as part of the graduate programme in 2010. Whilst working at APRA, he been involved in the general insurance, life insurance and private health insurance sectors, and is currently working in frontline supervision looking after foreign bank branches. This role involves financial analysis, risk management framework assessment, engagement with senior banking executives relating to strategy and risk governance, and liaising with domestic and international regulators. In his spare time, Clement has always been passionate about giving back to society and University, in particular by providing assistance and mentoring to students. He has also been actively involved in a number of non-profit associations promoting Australia-China connections. Ben is a Principal Industry Analyst at Google, based in Malaysia. He provides strategic advice and data driven insights to support Google’s business in Malaysia and across South East Asia region. Prior to Google, Ben worked across a number of different industries and job functions. He worked as an M&A advisor based in Singapore, covering global real estate and hospitality sector transactions. He has also spent time in strategy & operations roles at other tech firms in Australia, and first started his career as a management consultant at Port Jackson Partners in Sydney. Ben holds a Master’s degree in Mechanical Engineering from the University of California Berkeley and an undergraduate degree in Mechanical and Aerospace Engineering from the University of Queensland. Having grown up in a household of mixed heritage, Ben observed first-hand the positive outcomes of learning and collaboration between cultures. Naturally he is excited and optimistic for the opportunities that increased understanding and collaboration could unlock between Australia, China, and the broader SEA region! Ian Tam, with a Bachelor degree in Public Administration, he further his education in University of Sydney graduated with a Master in Public Policy. On graduation, he was recruited to join the Australian Labor Party to help in the Federal election campaigns for both former Prime Minister, The Hon Julie Gillard and the Hon Kevin Rudd. Ian was then solicited by the Federal Trade Union and quickly became the very first Chinese born Trade Union official, elected as the Executive Committee member making a name in Trade Union history. In 2015, Ian and the Hon Senator Penny Wong jointly, as the leftist delegate representatives, participated in the discussion and the successful voting of the China-Australia Free Trade Agreement. In 2016, through the Hon. Dr Helem Sham-Ho, former Deputy President of the NSW Legislative Council and with her recommendation, the Founding Chairman of ACETCA, Dr. Gary Lam appointed Ian as the Vice Chairman of the ACETCA. In early 2018, Ian entrusted again by former Prime Minister, the Hon Kevin Rudd, to co-ordinate Rudd’s book launch. In the most recent time, Ian invited many Chinese community leaders to participate in joint efforts to safeguard the bilateral relations between China and Australia. Yan Hui is an Associate Director at the UBS Investment Banking division in Sydney. Since joining UBS, Yan Hui has worked across a wide variety of engagements, including general corporate advisory, financing transactions and public company mergers and acquisitions. Yan Hui has particular expertise in the airline, industrials, telecommunications and technology sectors. Yan Hui is passionate about technology and in particular, promoting Australian entrepreneurs who are building exceptional world-class technology companies. Prior to joining UBS, Yan Hui worked for two years at Azure Capital, a corporate advisory firm in Perth. Yan Hui holds a Bachelor of Commerce and a Bachelor of Laws from the University of Western Australia, and has completed an exchange at the University of Nottingham. Yan Hui was born and raised in Singapore before moving to Australia and is bilingual in English and Mandarin. Amber Ziye Wang is a Senior Public Diplomacy Officer at the Australian embassy in Beijing. A former journalist and researcher, Amber found her passion for China-Australia relations when she was an international student in Melbourne. After seeing fellow Chinese students passing through the education system without engaging much with the local community, she was inspired to take part in change via writing. 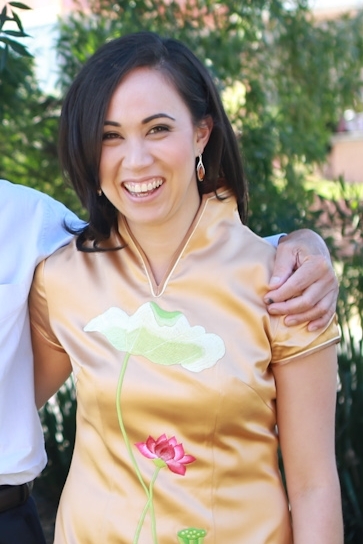 Starting her career covering the Chinese Australian diaspora for Chinese-language media, she has since reported for many publications on China including the Washington Post, and has conducted research for the Australian Strategic Policy Institute on China’s cyberspace and censorship against foreign governments, including Australia. Also a part of ACYA executive team in Beijing, she is deeply passionate about youth engagement and a strong advocate in the areas of media and education. Deshuai (Daniel) Wang is a data scientist. He is Head of AI R&D team in a leading healthcare management company in China which delivers professional medical services to millions of users. In this role, he is responsible for building intelligent, predictive and customisable services which help users better understand and manage their health status. Daniel is also highly interested in education. He started teaching computer operations to first-time users in 1997. Since then, he had developed several training courses in programming, system designing, big data, and AI techniques. Recently, he was invited by Google China University Program to provide an AI course to college teachers. Daniel obtained BSc from Nanjing University in 2000 and completed his PhD at the Northeastern University in 2011. In his career, he has played many roles as researcher, architect, consultant, engineer, lecturer, and trainer, in the fields of big data, AI, cloud computing, and healthcare informationisation. He has published 20+ academic papers, invented 2 patents, and won a technology-progress award. Daniel plans to move to Australia in near future. He has obtained a PRV through skill immigration. He intends to promote cooperation between Australia and China in IT (especially AI), education, as well as many other areas. Steph recently joined the Australian Consulate-General in Hong Kong as a Political and Economic Research Officer and is directly responsible in promoting the Australia-China relationship. Prior to joining the Australian Department of Foreign Affairs and Trade, Steph worked as a senior advisor to a prominent lawmaker in Hong Kong where she was able to work on various issues such as political reform which ultimately resulted in Occupy Central in 2014. After graduating from the University of Manchester with a BA in Economics and Political Science in 2013, Steph completed a Masters in International Public Policy at University College London. Born in Hong Kong and raised in the UK, she is trilingual in Cantonese, Mandarin and English. Steph thinks the future holds much hope for Australia-China relations despite the recent tensions, and she looks forward to engaging with fellow delegates on the challenges and opportunities that lie ahead. As Business Development Officer City of Melbourne, Terry is responsible for developing and managing Melbourne’s China engagement programs and international partnerships to facilitate bilateral collaborative opportunities and profile Melbourne’s strong capabilities in key sectors. Terry’s recent initiatives include 2018 Sino-Australasian Entrepreneurs Summit, the launch of Melbourne’s official WeChat account and a cashless busking pilot - the first of its kind in Australia and the world’s first involving Chinese mobile payment. Prior to joining the City of Melbourne in 2013, Terry was the general manager of a Melbourne boutique consumer brand, now acquired by a prominent Chinese FMCG group. 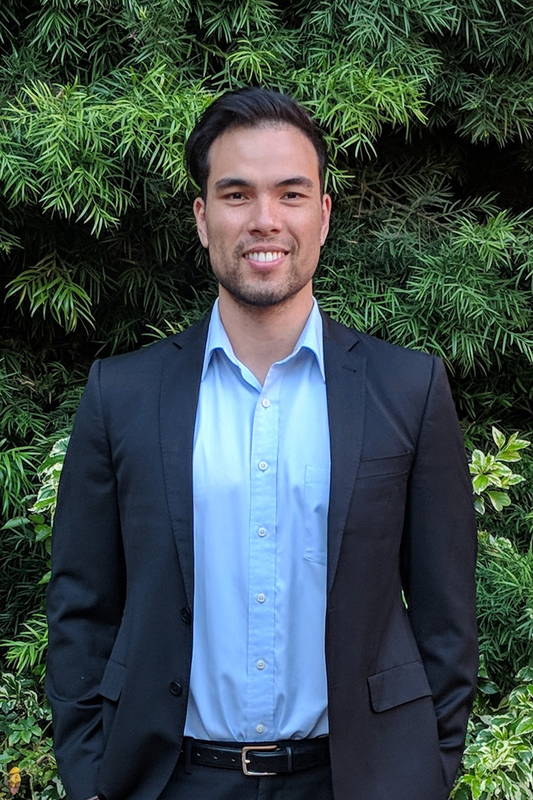 Terry grew up in China and came to Australia in 2008 to complete Master of Business and IT at the University of Melbourne, during which he also undertook a summer internship at PwC Bangkok. In China, Terry obtained a bachelor degree in telecommunications from Huazhong University of Science and Technology in 2004. He then worked as an ICT engineer for major telecom operators, a start-up and an international telecom service company in Beijing and Shanghai. Terry’s diverse professional and academic experiences and strong passion for Australia-China bilateral relationship have enabled Terry to exceed and thrive as a China engagement specialist. 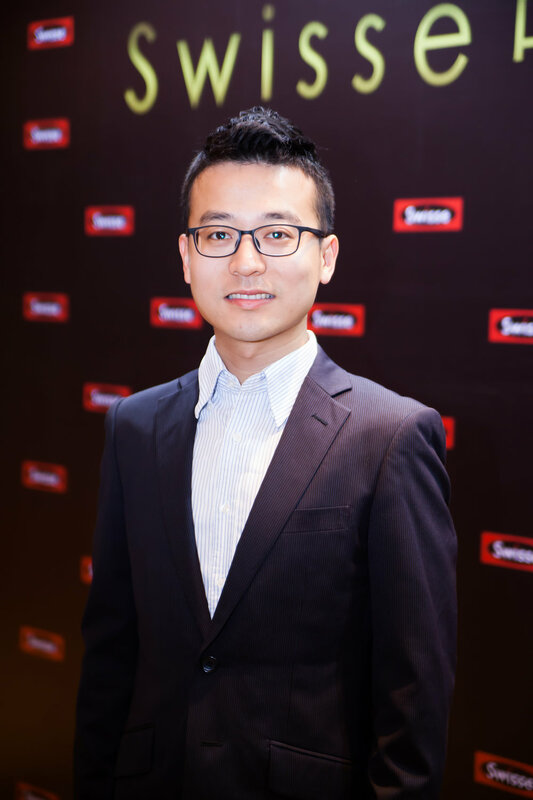 Born and raised in the most ancient and fast changing Chinese capital city Beijing, Zhang Ji is currently the Director of the Acquisitions & Investments Department for the State Power Investment Overseas Co. Ltd. From 2016, Zhang Ji has been involved in several transactions of clean energy project in Australia. Prior to this role he was the Executive Assistant to the Chairman of the General Office for the State Nuclear Power Technology Company in China. He has good business acumen coupled with a strong engineering background. Additionally, he takes a deep interest in Chinese History and Culture. Zhang Ji has a Masters of Engineers from Tsinghua University, where he majored in Nuclear Technology Engineering. Maggie is a Strategic Synergy partner at Telstra Ventures, working with global entrepreneurs from the Venture Capital investments across the US , China and Asia - to accelerate their business growth. “The entrepreneur behind the entrepreneur”. Prior to Telstra Ventures, she was a Senior Product Manager of Machine to Machine / IOT in Telstra Corporation and a Business Consultant with extensive experience across Global Product Management, Product Strategy, M&A integration and Organisational Transformation. Maggie was selected as one of 3 Australian Post Graduates as part of 100 global interns to work with the United Nations Headquarters in New York. Zhou Xiaolei was born in Jinan, Shandong Province in 1988. He obtained a Bachelor of Arts degree in Chinese language and literature at Qingdao University in 2012.He studied Historical Geography at Jinan University and obtain Master of History in 2015; Now studies Chinese Catholic history at University of Macao since 2015. Since 2012, his current research concerns the Jesuit Mission in China in the 17th and 18th centuries, on the basis of Western (Portuguese, French) and Classic Chinese written sources. In addition to that, his research interest also involves History of Sino-West relationship, History of Macao, History of Coast Defense in Ming Dynasty. As a Ph.D. student who majoring in Chinese Catholic history, he wish he could exchange his opinions on the areas of religion and social customs with Chinese and Australian youths. He will also bring this valuable experience back to China and share with the people who concerned about the relationship between China and Australia, hoping to promote the understanding between the two peoples.